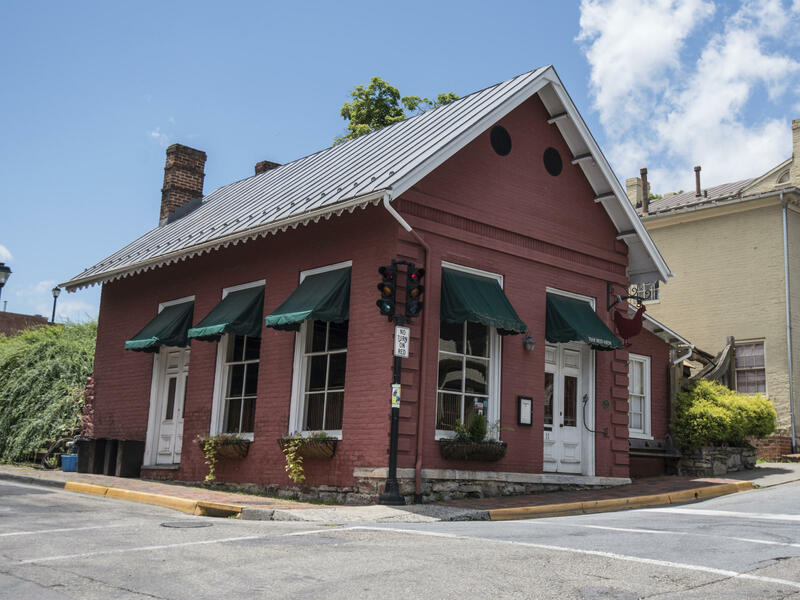 The owner of The Red Hen in Lexington, Va., asked White House press secretary Sarah Sanders to leave Friday night. It is not the first time politics has played a role in Trump aides' public dinner plans. Within hours, The Red Hen's Yelp page was inundated with both positive and negative reviews in response to its treatment of White House press secretary Sarah Sanders. A one-star review: "Horrible food paired with an unamerican owner. 1/10 don't recommend. Don't come here at all." A different review, this time with five stars: "Looks like you have an awesome menu and atmosphere, I can't wait to visit." The restaurant's rating dropped to 2 1/2 stars. The Red Hen's page on the Yelp website and its app eventually listed an "active cleanup alert" to warn users that many of the reviews may be motivated by news coverage. On Saturday morning, Sanders confirmed what happened with a tweet. "I always do my best to treat people, including those I disagree with, respectfully and will continue to do so," Sanders said. Her father, former Arkansas Gov. Mike Huckabee, also weighed in, saying the restaurant's menu features "small plates for small minds." The restaurant owner, Stephanie Wilkinson, told The Washington Post she wasn't at the restaurant on Friday night. It was her chef who had called and said the staff was concerned and didn't know what they should do. Wilkinson says several of her employees are gay and she asked them whether they wanted her to ask Sanders to leave. They said yes. Wilkinson told the Post that she is "not a huge fan of confrontation" but that when she asked Sanders to leave, the interaction was polite on both sides. The group offered to pay for the food it had ordered, but Wilkinson said it was on the house, the Post reports. It is not the first time politics has played a role in Trump aides' public dinner plans. Tension has been building surrounding President Trump's "zero-tolerance" policy that caused migrant children to be separated from their parents. On Wednesday, Trump backtracked and signed an executive order to end his family separation policy. But this reversal didn't prevent officials and aides in Trump administration from facing confrontations at restaurants in the Washington, D.C., area. On Tuesday, Homeland Security Secretary Kirstjen Nielsen was heckled out of an upscale Mexican eatery a couple blocks from the White House. A video shows protesters chanting "shame" while Nielsen sits in the corner. Two days earlier, White House senior policy adviser Stephen Miller was called a fascist while he was eating at a different Mexican restaurant, also in D.C., according to the New York Post. As NPR has reported, Nielsen has been the face of the Trump administration's policy, defending the treatment of migrant families who enter the U.S. illegally. It's also been reported by The New York Times that Miller has played a large role in advancing that policy.